Bengaluru-based bike rental startup Vogo Automotive Pvt Ltd, which runs the brand Vogo, has raised $8.87 Mn (INR 62.78 Cr) as part of its ongoing Series B funding round. A paper.vc report has said that the company has commenced $8.97 Mn (INR 63.5 Cr) Series B funding round. 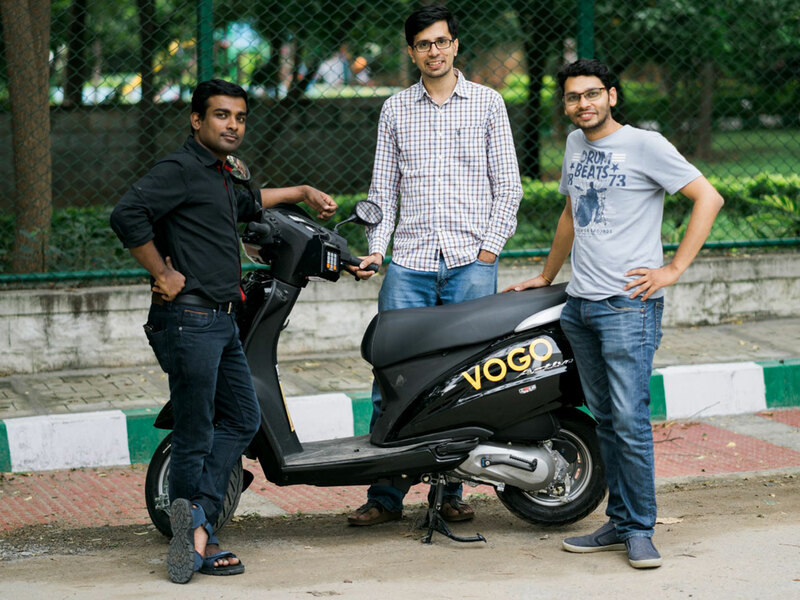 Founded in 2016 by Anand Ayyadurai, Padmanabhan Balakrishnan, and Sanchit Mittal, Vogo offers commuters round-the-clock scooter rental services as a cost-effective alternative to the more popular cabs and autos. The company had begun its Series A funding round in August 2018 with commitments from ANI Technologies, the parent company of Ola; Matrix Partners, Alteria Capital, Stellaris Venture Partners among others. Currently, Vogo is operational in Bengaluru, Hyderabad, Manipal, and Mysuru and is looking at adding 1,000 pickup points in Bengaluru and Hyderabad. The company claims that over 100K users have commuted for over 20 Mn kilometres on its scooters. Anand Ayyadurai, founder and CEO of Vogo had said in December 2018 that the company has seen rapid growth in the last five months and is growing over 10x in scale. At the time, Ola had signed a strategic partnership to invest $100 Mn (INR 712 Cr) in Vogo to fund the purchase of 100K scooters to boost Vogo’s current fleet. Ola has plans to bring Vogo’s services on the Ola app for its 150 Mn users. In the scooter sharing segment, Vogo competes with Bounce, WickedRide, Stoneheadbikes, Rentabike, Wheelstreet and others. A Statista report said that India’s two-wheeler vehicles (scooters, motorcycles, and mopeds) saw 20 Mn sales in 2017-18, which make it the most popular vehicle category sold in India. Another report by RedSeer Consulting said that the Indian online mobility market, which includes cab aggregator and auto-hailing verticals, contributed over 15% of the industry’s overall gross book value (GBV) in 2017. As India’s emobility market gains acceptance among the masses, companies such as Vogo are seeing increased adoption and as a result greater interest from investors.